Alexander Porfir'yevich Borodin was born in St. Petersburg on the 12 November1833. He was the illegitimate son of the Georgian Prince Gedeanov and his 24 year old mistress Madame Antonova, and for the sake of his father’s reputation was registered as the son of Porfiri Borodin, one of the household servants. He showed considerable diverse talents as a youth speaking several languages, and learning the flute piano and cello. At the age of nine he wrote his first musical composition: a piano duet. In 1850 at the age of 17, he entered the Medico-Surgical Academy at St. Petersburg, where he studied anatomy, botany, chemistry, crystallography and zoology. He developed both his interests in music and chemistry, and qualified in medicine in 1856. On graduation he spent a year as house surgeon in a military hospital, followed by three years of more advanced scientific studies in western Europe specialising in chemistry. Throughout his life music was subordinate to his research and lecturing at the Academy in St Petersburg. He never had enough time for composing and he joked that his musical friends wished he were chronically sick, since he worked in his laboratory when healthy and wrote music only when ill. He became part of a group of composers known as the “Mighty Handful”. The other members were Balakirev, Mussorgsky, Rimsky-Korsakov and Cui. They, like him, were not musicians by profession. They were pioneers of a new nationalistic approach to Russian music favouring folk idioms and simple lyrical beauty and opposing the cerebral approach of Wagner and the other contemporary German composers. Borodin is perhaps the least nationalistic of the five. In his youth he studied and arranged works Haydn and Beethoven and frequently he adopts their classical forms. He became a friend of Lizst on his first visit to Germany and was certainly influenced by him. The nocturne is one of Borodin’s most famous compositions. It was written as the third movement of his second string quartet (1881), and has been arranged in many ways since. It is a simple piece in ternary form with a main theme of remarkable beauty and emotional intensity. Some critics have suggested that the movement may be a lament for the death of Modest Mussorgsky. However it has more plausibly been suggested that it evokes Borodin’s love for his wife, Ekaterina Protopopova, to whom he was a devoted husband. 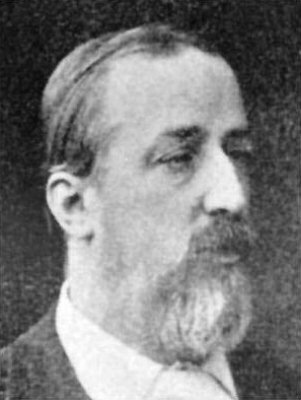 In his early fifties Borodin’s health was undermined by an attack of cholera whose severity was compounded by a weak heart. In February1887 he attend a fancy dress ball at the Academy. Dressed in a Russian costume complete with a red shirt and high black boots, he joined in the festivities with lively enthusiasm and danced energetically. However, around midnight, with the party still in full swing, he collapsed and within a few moments had died from heart failure. Russia had lost a brilliant scientist and one of her greatest composers. Borodin's reputation as a major composer rests on a remarkably small number of works. Not only did he devote little time to composition, but he was also highly self critical. It has been said of him that more great music finished in his waste paper basket than most composers write in a lifetime. The works he did complete are of such originality and high quality that his place in the annals of music is assured. Borodin's Nocturne was performed by the Portobello orchestra on the 16th July 2005. The conductor was Anthony Weeden.